This is a courtesy posting.... contact the person listed for more information. This pretty girl has landed on hard times through no fault of her own. Her previous owner dumped her at his ex girlfriends house and there is no fenced yard so she is tethered until she finds a new home. Ms Luna is spayed, microchipped, and current on vaccines. I am trying to help her find her own forever home. I am willing to help transport and will provide a leash and collar and dog food. For a $50 re-home fee, you can provide this beautiful girl with a new home. She is great with children and larger dogs. No cats or small dogs. Like all Siberians, she must have a secure fenced yard. 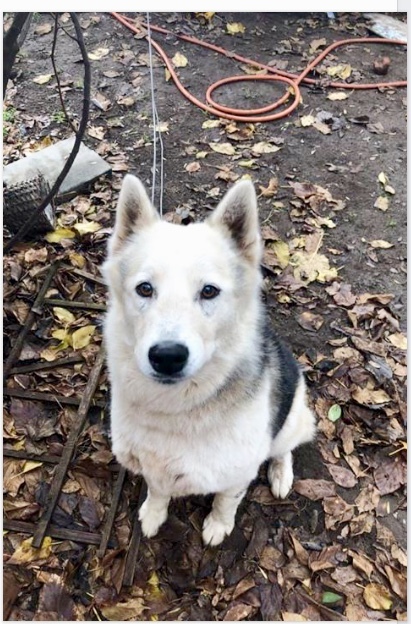 She is a spayed Female, 5 years old, Lead Trained, good with Children, good with Small Children, good with Large Dogs, has Rabies vaccinations, has DHLPP vaccinations, microchipped.